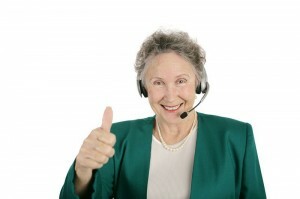 When looking for work at home jobs for retirees there are many different kinds of work out there. But how do you connect with the employers who hire remote workers? Before I explain that to you, let’s look at the popularity of this form of employment. FlexJobs conducted a survey recently that revealed an interesting trend. It showed that 76-percent of those asked said they would rather work outside of an office setting to accomplish high priority tasks. Plus, 47-percent of those surveyed indicated they would rather be a part-time worker than working full-time hours. In other words, the growing trend is moving towards part-time workers getting work done at home or somewhere other than a formal office setting. But how do you find work at home jobs for retirees? There are some things you need to consider first in order to locate the right fit for your circumstances. For example, you need to determine what career fields are adaptable to a flexible work schedule – working from home on a part-time basis – and believe it or not, that will be easier to figure out than not. With the growing trend to outsourcing work to at-home employees or contractors a number of fields are shifting their focus to accommodate the new work environment. Choices include but are not limited to sales, administration, customer service, education and training, computer and IT service as well as medical and health opportunities. The Ace up your sleeve when looking for remote work is that you have the correct skills for the task and that your home office is set up in such a way that you can be a productive member of the team without having to actually meet the rest of the team. Provided that you can exercise self-discipline, have a level of independence, possess a healthy dose of self-motivation and have passion for the work you are doing, you will succeed in finding work at home opportunities. As for what you will receive in return for your work as an at-home employee the wages will vary depending on the employer and tasks but bear in mind if you are doing this part-time, your earnings will be less than you may be accustomed to. However, there will be additional perks – dependent on the company – which can range from health insurance and benefit packages including medical, dental and vision coverage in addition to a regular pay check. So there are a number of work at home jobs for retirees, you only need to match your skills with the positions being offered and once you make a good connection, you’ll be working as long as you wish without having to leave your home. It is a great opportunity for anyone trying to reduce their workload but still use their skills to earn a fair wage.